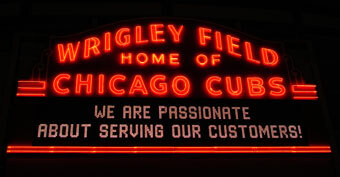 With time, the numbness caused by the Cubs 2008 postseason performance will fade and new enthusiasm for the 2009 season will rise in its place. I know – it’s hard to trust, hard to have faith, hard to believe again after such a disappointing let down – especially with winter looming in the not too distant future. But the optimism will come when its ready. Meantime, life goes on and CubHub.net soldiers on as well. I will be posting regularly throughout the off-season as news breaks and when there is something interesting to say. I promise not to post for the sake of posting as that really is a time waster for us all. But plans are to further enhance the main CubHub.net site as well as this blog. If all goes well, there will be richer, deeper features, improved design, and generally lots of tweaking. Feedback from loyal readers like you is critical for me to understand the shortcomings of this site and what you liked. I need to know what you want more of and what you could do with less of. CubHub.net was created by Cub fans for Cub fans so tell me what you think and any suggestions you may have. This will help steer me in prioritizing changes in the site for 2009. You can voice your opinion by using the contact form, or posting comments to this blog post. I am humbly grateful for your readership and sincerely thank you for visiting. This site is not possible without you and our valued sponsors. When you click through and patronize the advertisers on this site you are supporting its care and feeding, and it costs you nothing extra. Trust me when I tell you no one is getting rich off this site, but without our advertisers and your patronage of them, this Cubs fan site and blog would not be possible. So again, my sincere thanks! Stay tuned for site enhancements, trade rumors, roster moves, team ownership developments, breaking news and analysis of it all!